Riello UPS General Manager Leo Craig shares some of the key questions data centre managers should ask to ensure they get the best out of their UPS maintenance plan. Centrica’s October 2017 ‘UK Resilience Report’ suggests more than half (52%) of data centre decision makers believe they’ll experience a power-related failure within the coming year, so it’s clear why putting such proactive plans in place makes absolute business sense. 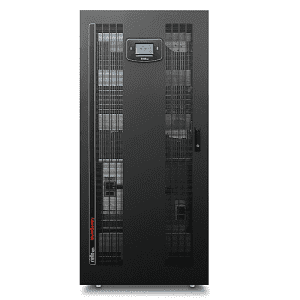 It’ll help ensure as reliable and resilient a UPS system – your company’s first and foremost line of defence against harmful power supply problems – as possible. But not all UPS maintenance agreements are the same and it’s essential you get the most comprehensive and suitable plan for your particular circumstances. So before you sign on the dotted line and commit to that essential UPS maintenance contract, here are some key questions you should ask any prospective service providers. 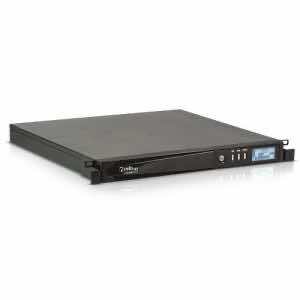 Do I really need a maintenance plan if my UPS is still under warranty? 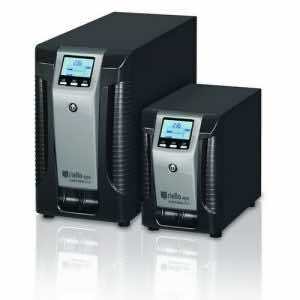 Most new UPS systems typically come with a one or two-year warranty which will cover any manufacturer faults or defects. But that certainly doesn’t mean your data centre shouldn’t opt for a comprehensive maintenance plan too. Standard warranties are only a ‘best endeavour’ response, so in an emergency that could mean you are waiting vital days until your unit is back online. You should view your maintenance agreement as a necessary layer of insurance that provides the peace of mind of guaranteed response times when there’s an emergency to get you back up and running again as quickly as possible. A maintenance plan will provide that longer-term protection and also help ensure your system runs at optimum performance. With complex electrical equipment such as a UPS, proactive upkeep can have a huge impact on both the reliability and overall lifespan of your system – a well-maintained and regularly serviced UPS needs less power to run, reducing your data centre energy costs, as well as being far less likely to fail and cause critical downtime. How quickly will you respond to an emergency call? Even the most resilient and reliable UPS system can fail, but unfortunately, you can’t predict when it might happen – it’s not quite as simple as having technical support on hand 9-5 Monday to Friday, you’re never quite sure when downtime will strike. On those rare occasions where there’s a fault with your UPS system, you obviously need as speedy a solution as possible to minimise the potential impact of damaging downtime. This is why it’s crucial to get clear, guaranteed response and fix times included as part of your service level agreement (SLA) from the very beginning. Maybe you are promised a prompt response within a few working hours, but it turns out your faulty UPS won’t actually be fully fixed for several days. That’s crucial time your data centre, your staff, and your customers simply can’t afford to be offline. In some circumstances a provider might guarantee you a 24-7 UPS response, but what if your premises are only accessible during standard business hours? You may be paying for premium round-the-clock support that you don’t even need. 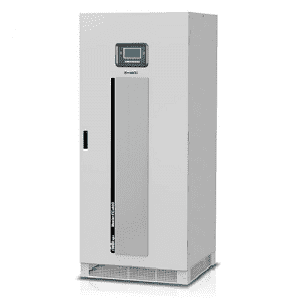 Data centre customers with Riello UPS are offered a wide range of options tailored to their particular requirements. Response times vary from 12 working hours down to 4 clock hours. Even quicker responses are available too, particularly in major urban areas or if customers have a ‘crash kit’ of replacement parts readily available on-site. The key point is transparency when the maintenance plan is agreed so there’s no confusion from either the customer or the service provider. Are your UPS technicians fully-trained and certified? 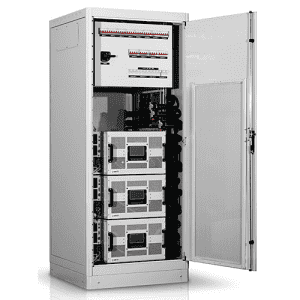 A UPS is one of the essential elements of your data centre’s power protection plan. Understandably it is an extremely complex and costly piece of equipment. You need to trust that the engineers installing, servicing, and repairing your system are fully-trained, certified, and know exactly what they are doing. You’d never consider undergoing a serious medical operation by an unqualified surgeon, and the same principle applies here – competence is key. Data centre managers are perfectly entitled to use a third-party maintenance provider as an alternative to calling on engineers from their actual UPS manufacturer, however, we’d stress the importance of checking that any person carrying out your essential maintenance is fully-trained to carry out the job. To ensure customers have round-the-clock access to competent, experienced technicians, we run a Certified Engineer Programme for both our in-house technicians and a nationwide network of engineers from authorised UPS resellers. To feature on this approved list, engineers must successfully complete rigorous training on the commissioning, maintenance, and servicing of Riello UPS products, and undergo regular re-assessment to retain their approved status. Each UPS engineer that passes the challenging assessment is given their own unique ID number, which data centres can cross-reference on a dedicated website, giving them the peace of mind that the person trusted with servicing their essential UPS equipment is an expert. How many Preventative Maintenance Visits (PMVs) are included in your UPS maintenance contract? A PMV is one of the most important elements to include in a solid UPS maintenance agreement and we’d recommend it is carried out annually at the very least. 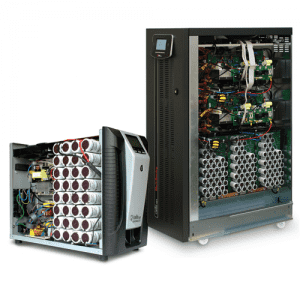 Certified UPS engineers will visit your data centre and inspect your entire system for potential issues, both with the unit itself and whether consumables such as batteries or capacitors may need replacing. 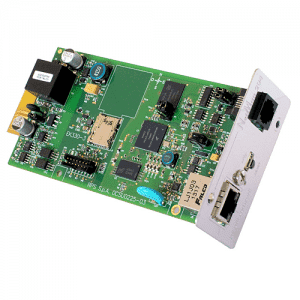 Regular PMVs also provide the perfect opportunity for firmware updates to be installed to optimise performance by ensuring your system is running on the latest software. All in all, a PMV is an essential regular health-check that can flag up potential problems before they become a critical issue, ensure your system is performing at its very best, and help with forward planning by identifying the need for any replacement parts or consumables well in advance. Do you hold any spare parts in stock and how quickly can I get them? In a UPS emergency when every hour – or even every minute or second – counts, it’s essential that your maintenance provider not only has spare and replacement parts readily available in stock, but it also has the capability to get them to your data centre as quickly as possible, wherever you are based in the country. And while we’re talking about spare parts, it’s also important to establish whether their cost is included in the maintenance plan or not. Key consumables such as batteries and capacitors aren’t covered in agreements, but it’s worth clarifying the situation with other items. 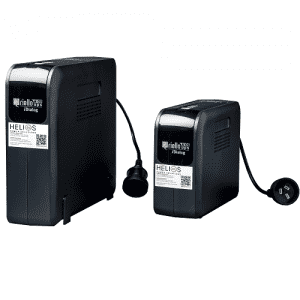 Replacement fans, another common consumable, are included as standard in Riello UPS maintenance agreements, however, this isn’t the case with other providers, so always double-check what is and isn’t covered otherwise you might get hit with an unexpected additional charge. 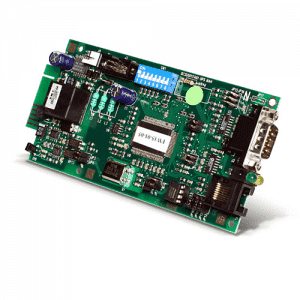 Does your UPS maintenance plan include remote monitoring? If the answer is ‘yes’ then it’s a pretty good indicator that your service provider is keeping up with the latest industry trends and technologies. 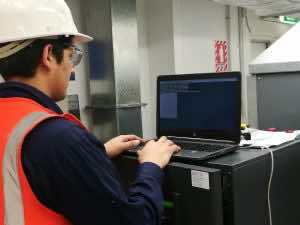 A remote monitoring service for UPS, such as the Riello Connect service, sees performance information from your data centre’s UPS analysed off-site in real-time by fully-qualified technicians. Such a service provides additional robustness to your maintenance plan as it enables potential glitches to be noticed and fixed before they run the risk of developing into a serious issue. Getting clear answers to these questions will help you make an informed decision about the best UPS maintenance supplier for your data centre and give you all the reassurance you need that they will provide you with all the support you need. Next time we’ll turn our attention to one of the most fundamental parts of a UPS maintenance plan and explain everything you need to know about a Preventative Maintenance Visit (PMV).